When you are in need of dependable veterinary care, Sims Animal Hospital is the right choice. 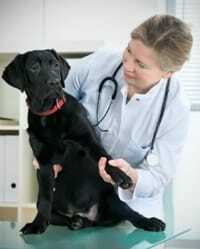 Our professional staff is friendly, experienced and works with you to identify your pet's health concerns. You can count on us for complete health and medical care of your pets. We specialize in pet surgery, allergy treatment, pet grooming services and much more. Since 1967, we have been keeping all pet owners happy in Louisville and the surrounding area. At Sims Animal Hospital, we treat your pets with compassion and loving care, while striving to maintain the highest possible medical standards. For more information about our veterinarian supplies, give us a call today at (502) 907-2004.